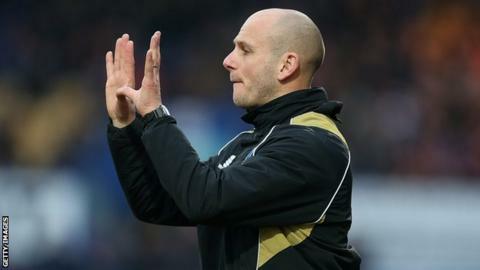 Mansfield Town manager Adam Murray says his side "cannot go through the motions" as they slipped to a 1-0 defeat at Accrington Stanley. Tuesday's defeat was their first in League Two this season and came four days after a 2-0 victory at local rivals Notts County. Murray told BBC Radio Nottingham: "We need to work hard. We are not a team who are good enough to play at 70-80%. "It has to be 100% and we need people focused to the standards we want."